With the smash hit ‘Pokemon Go’ turning people into sometimes annoying gamers, it’s time for a little payback. 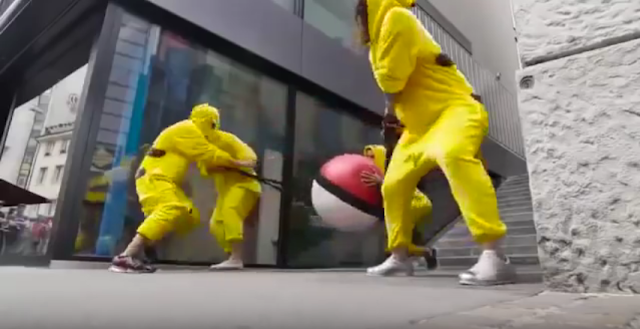 The massively popular game has made players step into other’s personal space and even properties, so a group of guys decided to dress themselves as Pikachu to deliver some poetic justice. 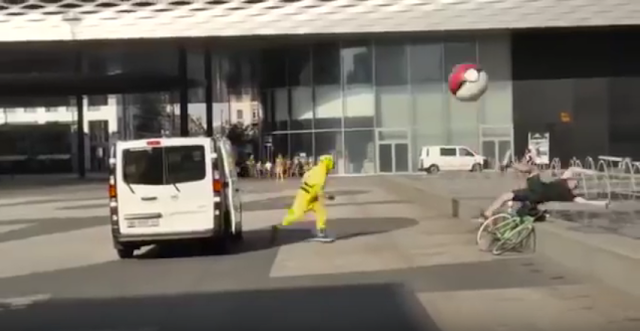 The mischievous troublemakers took a ride around the streets of Basel, Switzerland aboard a van as they look for some unsuspecting victims who would be given the ‘Pokemon Go’ treatment by hurling a giant Poke Ball at them just like catching a Pokemon. Now that’s what you call giving them a taste of their own medicine. For more fun clips to watch on your news feed, like our Facebook page and share this video!